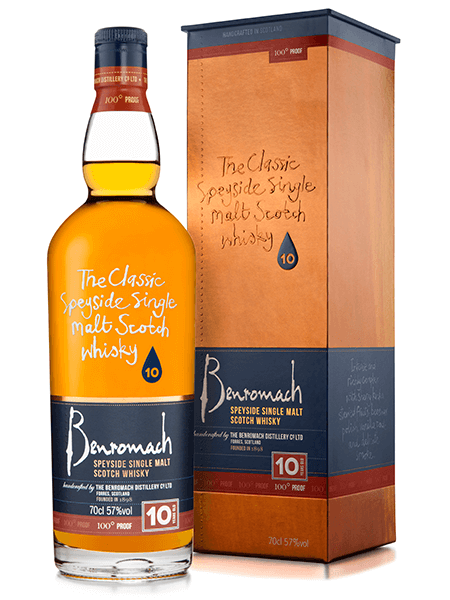 When Steve Rush of the Whisky Wire announced his 150th Anniversary tweet tasting would be the Benromach Classic range – the 10, 15 and 100 proof, I immediately registered and was fortunate enough to be selected. 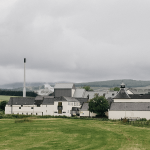 Benromach, the Forres based distillery is one of my favourites. It is owned and operated by the Urquhart Family of Gordon and MacPhail fame and dates back to 1898. 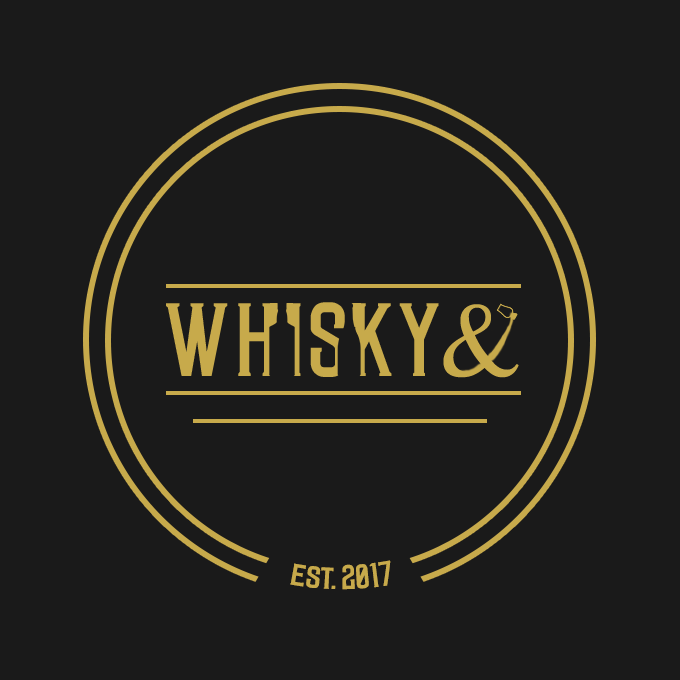 Its USP is in essence to produce a truly craft whisky famous for a faint hint of smoke coming from Local Barley dried with peat but very subtly. 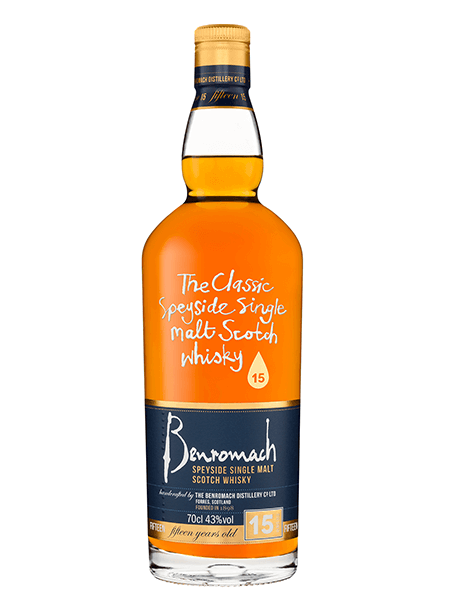 Benromach features one of the longest fermentations, almost uniquely the fermentation, distillation and vatting and bottling is a manual process with manual control right down to chalk and blackboard to record fill weights and cask numbers. The spirit cut seems to be precisely the sweet heart of the distillation. 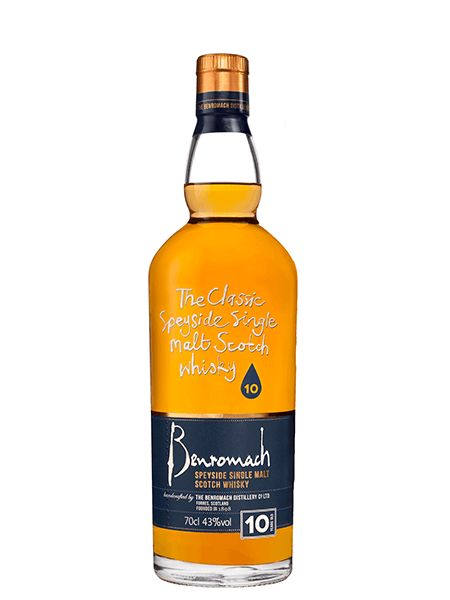 Benromach uses first fill sherry and bourbon barrels left to mature in dunnage warehouse delivering wonderful flavour and complexity. The younger expressions are amongst the best of a very competitive field. The older expressions remain true to their origins and every year in the cask delivers more and more, so whatever expression you buy it will deliver wonderful tasting experience. My tasting notes support the consistency of the product with only minor differences from my previous tasting notes all improvements in my opinion. Nose: Pears pineapple sherry, ginger, grapefruit ,celery, almond note a touch more balance than I remember between sherry and bourbon, really nice. The celery note described by another taster as courgettes is a wonderful fresh vegetable note typical of Benromach which I have also described elsewhere as cucumber. A drop of water brings in the smoke but only a wisp. These are whiskies which take small amounts of water really well and which deliver more with no more than aa teaspoon. The 100 proof can take a few of course. Palate: Orange zest, red berries memories of fruit pastilles, lovely glucose ( I nearly said lucozade but that would not accurately describe it but it gives the idea), it is slightly malty with apple peel, oak, and finally I get marzipan so almonds. There is black pepper as well. It is a truly great palate but risks being too easy to drink but taking time pays rewards as it fades to tobacco and leather. Nose: green fruits slow to open up. A single teaspoon of water then cherry, smoke, honey, cucumber, chocolate soufflé a great nose indeed. 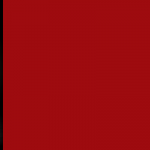 Palate: brandy snaps, sour cherries & plumbs bonfire smoke chocolate, vanilla, nutmeg, tobacco and coffee delivers on every one of the extra 5 years. This is a quality malt for me, one of, if not the best of the Speyside 15 year olds. This is my benchmark 15 year old. Only surpassed by the Glenfarclas 100 proof 15 year old, not really the same category. I wonder what a 100 proof 15 year old Benromach might be like. I suspect a world beater! In a market where 15 year olds can too often be disappointing. This delivers so much more. Let me start by saying that this year has found me focussing my drinking predominantly on cask strength and single cask expressions. While 100 proof at 57% is not full cask strength it is the sweet spot for this particular whisky. Nose: Wow! great nose, sherry, fruit cake, sweet smoky note faint peat, honey and dates, soft fruit, berries in abundance. Palate: Hugely complex spirit hit then nuts, chocolate summer fruits orange, Refreshers, the caramel ones, foam banana, a confectionary delight, with the merest hint of Curly Wurly chocolate & toffee bliss moving to leather, coffee and that wonderful Benromach bonfire cedar smoky note. The balance of Spirit, the ABV, and the quality barrels in perfect harmony. This was my favourite of the evening despite me usually picking the 15 from this group. I can only think that my current tasting has edged my palate towards the higher ABV delivering the flavour I am looking for currently. I recommend every one of this range without reservation three are whiskies every fan should try.